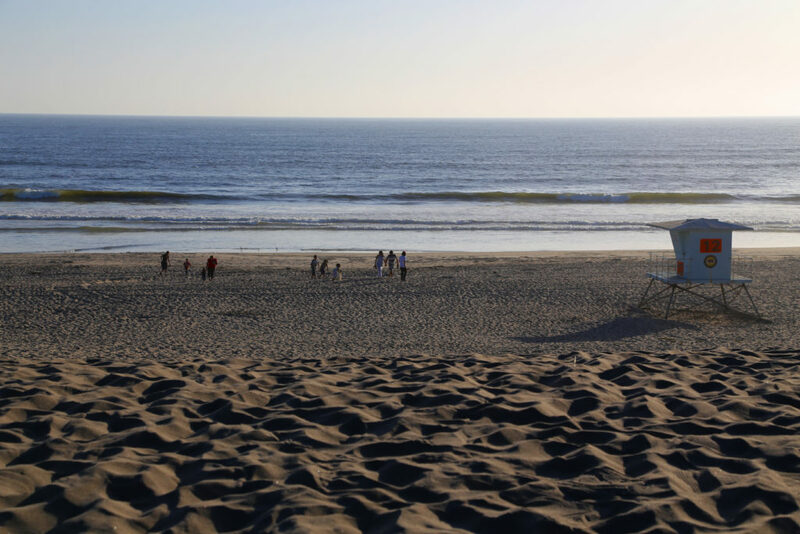 Palm State Beach is a popular day-use area in south Santa Cruz County near the mouth of the Pajaro River. The wide beach is three miles long — perfect for a long walk or a day in the sun. Fishing and swimming are popular activities at Palm Beach. Picnic tables are available in the day use area. Take the Riverside Drive exit off Highway 1 near Watsonville and head west to Lee Road. Then it’s a long straight drive between farm lands on West Beach Street, which leads to the parking lot. Visitors enjoy surfing, swimming, boogie boarding and more. A shaded picnic area offers tables and barbecues for use on a first-come, first-served basis. Beach fires are allowed in park-provided fire rings. Palm State Beach was originally Camp Goodall, a private beach with a number of small cottages. It was named “Palm” after a famous resort in Florida.